Local and online resources to research family histories. The National Archives in Washington, D.C. is a treasure trove for U.S. genealogy. Some of the resources are online, and others can be ordered. Military records are a particularly rich resource. A free and very comprehensive listing of genealogy resources on the Internet with many ways to search and sort by category (such as geographical locations) and topic (such as adoption). A website maintained by local volunteers with knowledge of local resources, such as cemetery records, birth, death and marriage records, local history etc. 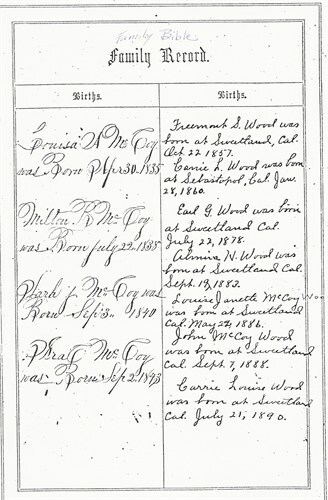 A website maintained by local volunteers with knowledge of local resources, such as cemetery records, birth, death and marriage records, local history, etc. Very comprehensive, free research site with access to census records and many vital records. Maintained the the Church of Latter Day Saints. If your ancestors came from other countries, try this site to find resources by country and region. Here are some regional web resources and organizations with information helpful to genealogists. This online collection currently contains 160 newspaper titles and approximately 2.5 million pages of historic newspapers, featuring coverage from 20 counties. Newspapers from around the state and New York City will be added in the coming years. It is anticipated that New York State Historic Newspapers will be harvested by the Digital Public Library of America sometime in 2015. This set of bound volumes is held at the Plattsburgh Public Library. They must be used onsite. Covers 48 upstate NY counties from its office in Syracuse. A repository of Adirondack and Essex County historical information, including some of genealogical interest. Contact information and useful links. The Historical Society recently renovated the carriage house behind the museum building at 51 Milwaukee Street, Malone, and it now houses the Schryer Center for Historical and Genealogical Research. To schedule a visit, call (518) 483-5948 or (518) 891-6727. Clyde Rabideau compiled a number of valuable resources on obituaries, burial sites, headstone inscriptions and vital statistics in Clinton, Essex and Franklin Counties. These books can be consulted at several libraries in our area. The link above leads to the Clinton County page, and there are pages for Essex and Franklin County also. Volunteers have been working for many years to compile this information. If you are a patron of the Malone library, you are able to access the Heritage Quest database from home using your library card! Visitors to the libraries may also receive guest privileges to use this database. To access from home with a Malone library card, visit https://cefls.org/libraries/malone/​. 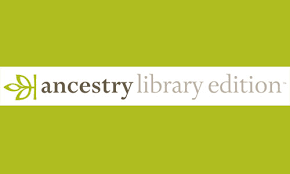 Ancestry.com library edition access is available from Plattsburgh Public library computers only due to licensing restrictions. However, the NY State library offers free access to the New York portion of Ancestry.com. Genealogy can be an expensive hobby, with software to buy, subscriptions to expensive research tools, and even travel. However, there is a way to create, research and save your family tree, complete with photos, recordings and stories, all for no cost. The Familysearch.org website, operated by the Church of Latter Day Saints, provides tools to enter the information you know, and find ancestors you didn't know about. There are millions of historical records from over 200 countries available online through the site. New records are constantly added. For example, in April 2017, FamilySearch published over 3.3 million French Census records from 1876 to 1906. The site contains lots of help, and there are even volunteers that provide free research help over the phone! You can download this ebook for free with your library card and read it on your computer, smartphone, tablet or e-reader. Here are some good introductions to genealogy in the collections of public libraries around the area. Request these titles with your library card to be delivered to your home library, or visit the libraries that own them to check them out. Click on a title to see where you can find a copy. Roots for kids : a genealogy guide for young people by Susan Provost Beller.